Every new Ferrari has a three year/unlimited mileage factory warranty and a seven-year free maintenance program from the date of purchase. The three-year factory warranty can be extended by two years with bumper-to-bumper coverage. Ferrari developed a two-part warranty program to assure peace of mind and maintaining vehicle value over time. The Ferrari Warranty Extension and New Power extended warranty were created by Ferrari to assist owners who want to extend the manufacturer warranty. All maintenance and repairs must be performed at an Authorized Ferrari dealer to ensure program compliance. All new Ferrari vehicles come with a three year bumper to bumper factory warranty that can be extended further by purchasing a one to two year manufacturer warranty extension. This assures the vehicle will have a Ferrari warranty for the fourth and/or fifth year. The extended warranty can be purchased anytime up to the prior to the 30th day of the new car warranty expiration. Ferrari is the first manufacturer in the world to offer clients the option of extending warranty for up to 15 years of coverage. Ferrari sets the benchmark by making the New Power15 Extended Warranty the most flexible and comprehensive package. The warranty applies to vehicles between the expiration of the new vehicle limited warranty and fifteen years from the original date of sale. Engine, Gearbox, PTU, and some Suspension, Steering and Electrical Systems are included. Plus the roadside recovery service will be readily available when most needed! Coverage does not apply to normal wear and tear. The new car limited warranty can be extended to a fourth or fifth year. After the fifth year, the New Power Warranty can be extended annually up to the fifteenth year. Coverage will continue to be valid after sale of vehicle to a new owner. By covering major breakdowns, this program should stabilize the cost of repairs over time. The goal of this program also assists the vehicles running well and maintaining their value over time. Every Ferrari that is eligible for a New Power Warranty must pass a 101 point mechanical check system. 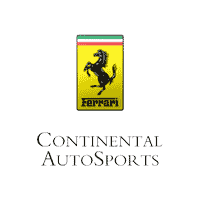 All vehicle service must have been performed at an Authorized Ferrari Dealer to qualify. The program can be purchased yearly for approximately $4500 for eight cylinder engines and $5500 for twelve cylinder vehicles. Coverage applies to vehicles with a maximum 55,913 miles plus cost of inspection. Complimentary scheduled maintenance is included for the first seven years of a new Ferrari. The program offers clients ordering a new Ferrari GTC4Lusso, GTC4Lusso T, 488, 488 Spider, 488 Pista, Portofino, or 812 Superfast from an authorized Ferrari dealership this complimentary service. The program extends to subsequent owners of a California, California T, F12berlinetta, TDF, FF, 458 GTB, 458 Spider, 458 Italia, or 458 Speciale model during the entire seven year period from date of original sale. Program includes all 2013 standard production and newer Ferrari models. Special limited production Ferrari models are not included. Ferrari Genuine Maintenance ensures vehicles are maintained for maximum performance and safety by a factory authorized dealer with dedicated diagnostic equipment. The vehicle will be subject to annual inspections by a Ferrari trained technician at the standard service intervals (12,500 miles or once a year with no restriction on total mileage. The program covers the scheduled maintenance labor along with the relative original spare parts, engine oil and brake fluid. Please don't hesitate to direct your questions to us! Fill out the simple form below and our team will get back to you.